There are many types of cracked teeth. The treatment and outcome for your tooth depends on the type, location and severity of the crack. Unlike a broken bone, a fracture in a cracked tooth will never heal. Early diagnosis is important, even with high magnification and special lighting, it is sometimes difficult to determine the extent of a crack. A crown will bind and protect the cracked tooth. When a crack reaches the tooth root, root canal treatment is frequently needed to treat the injured pulp. 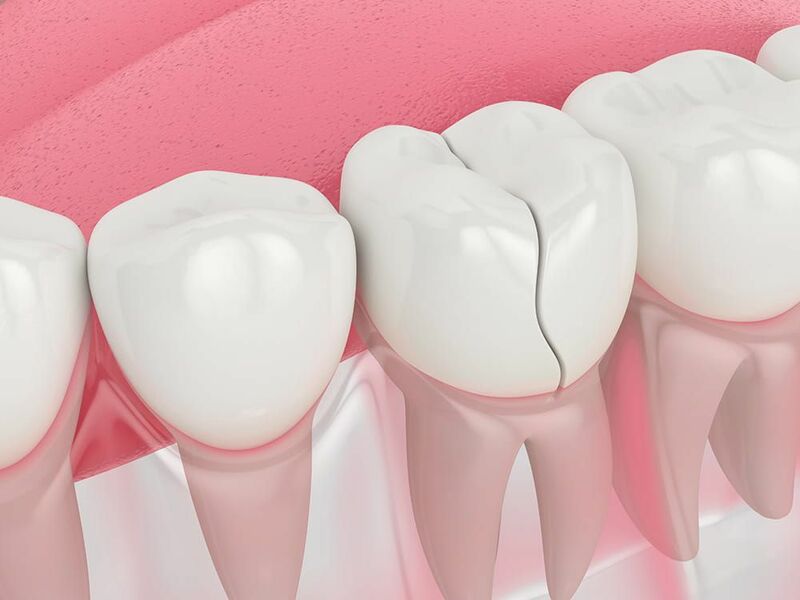 A cracked tooth that is not treated will progressively worsen, eventually resulting in the loss of the tooth.